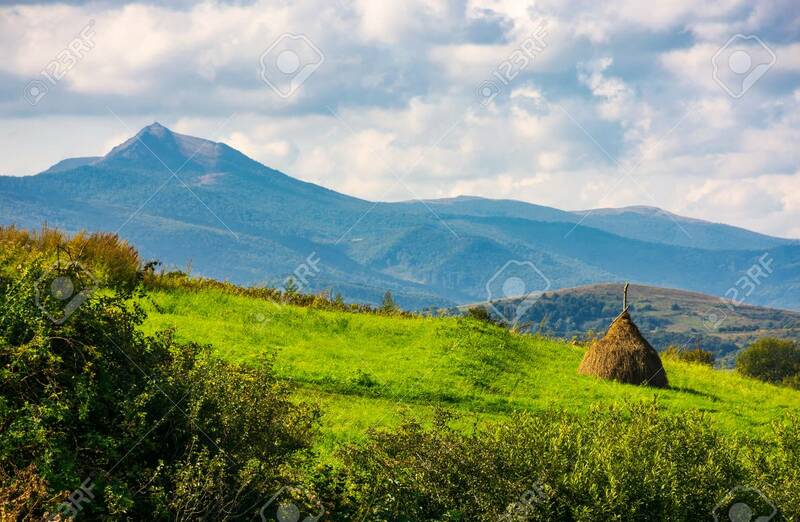 Haystack On A Grassy Slope. Ridge With High Peak In The Distance... Stock Photo, Picture And Royalty Free Image. Image 107011995.